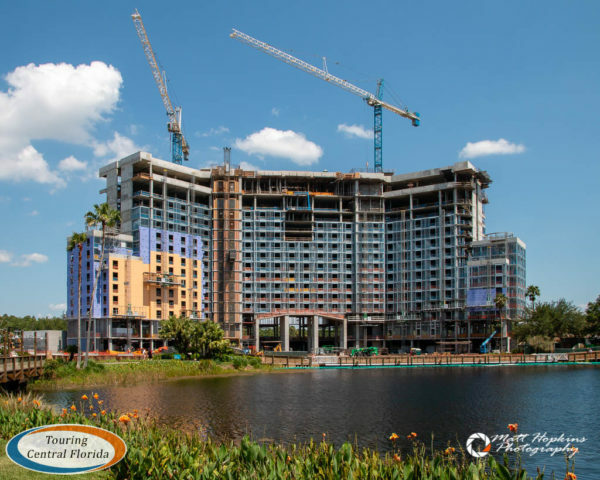 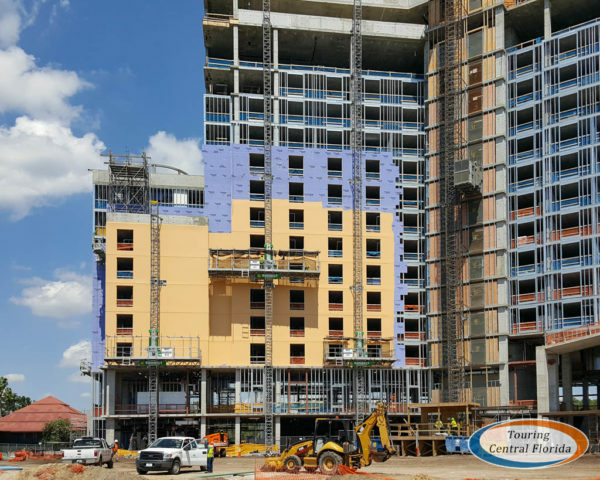 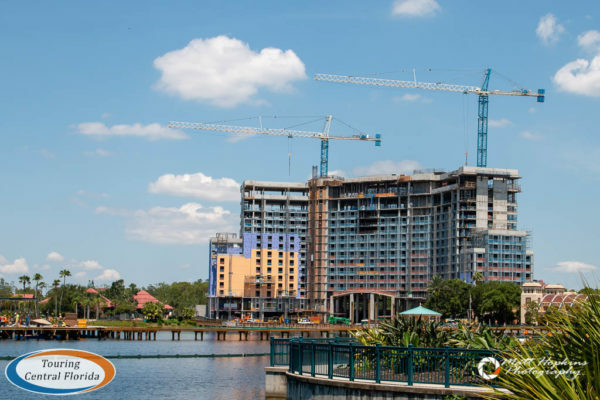 Last week, we spent a few days park hopping around Walt Disney World and grabbed some photos of current construction projects across the resort. 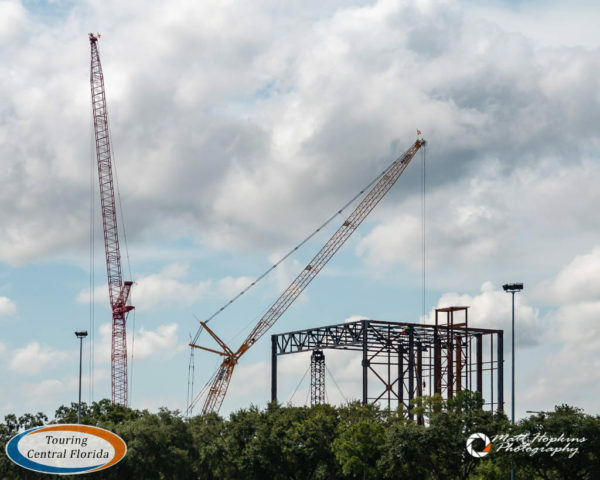 In Epcot, work on the new Guardians of the Galaxy attraction is well underway with the frame of the huge steel structure taking shape behind the former Universe of Energy and Wonders of Life pavilions. 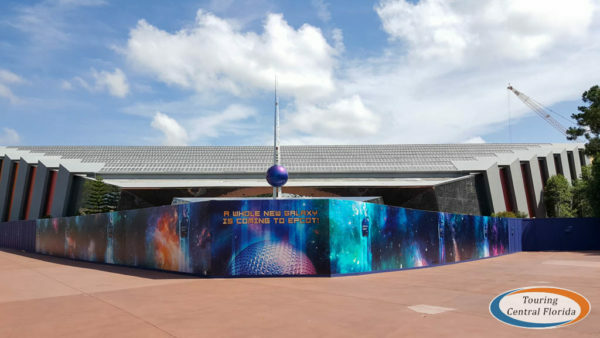 It’s quite noticeable from locations inside and outside the park. 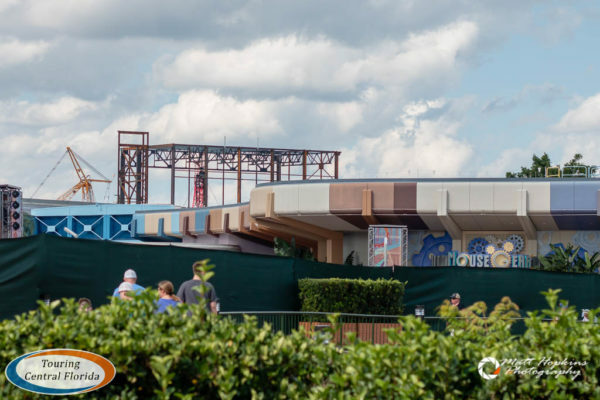 At Hollywood Studios, Toy Story Land is about to open, with construction there virtually complete at this point. 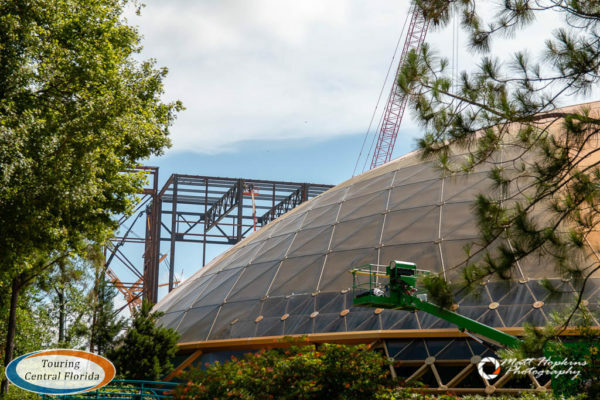 Star Wars: Galaxy’s Edge construction continues as the area is expected to open in late 2019, but from inside the park there are few vantage points that allow views of the work. 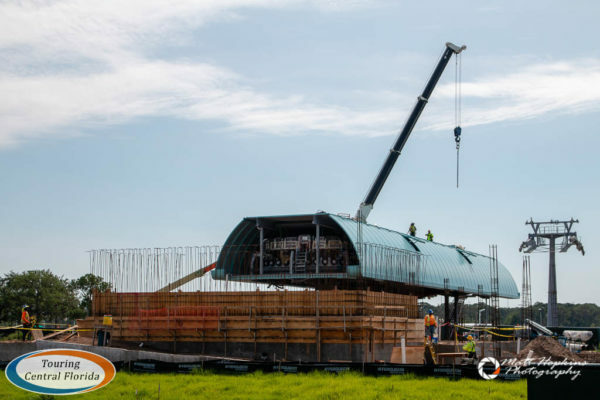 Outside the park, the Skyliner station has received its roof and work continues around the area. 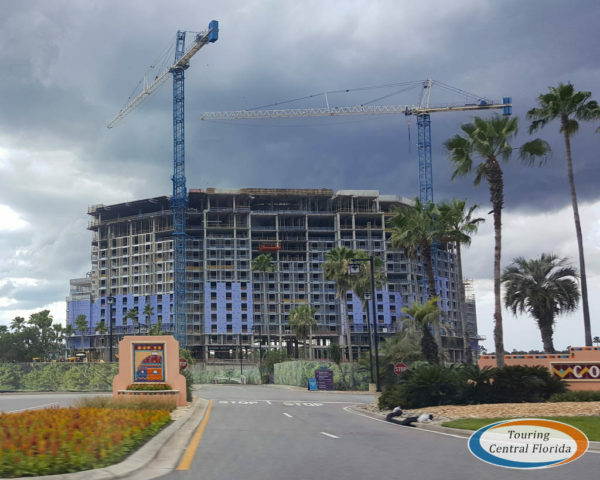 The towers can be seen leading from the station out across the parking lot towards the Caribbean Beach resort. 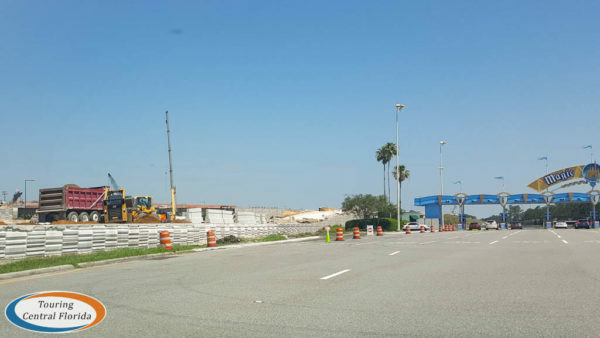 Heading into the TTC parking lot or towards the Magic Kingdom resorts, you’re bound to notice the new traffic patterns and progress on the roadways all around the Magic Kingdom toll booths. 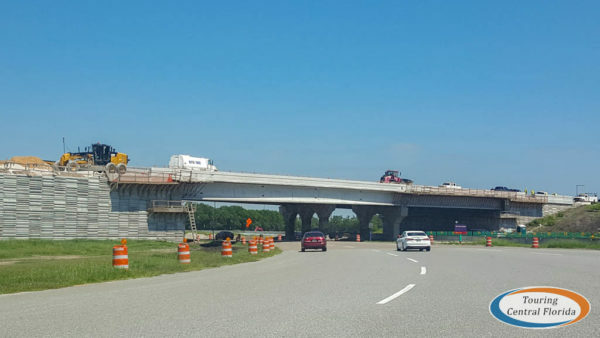 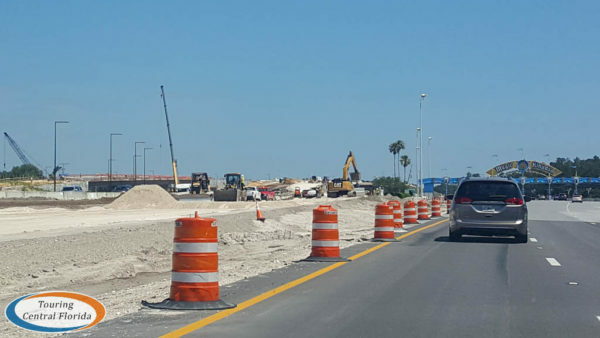 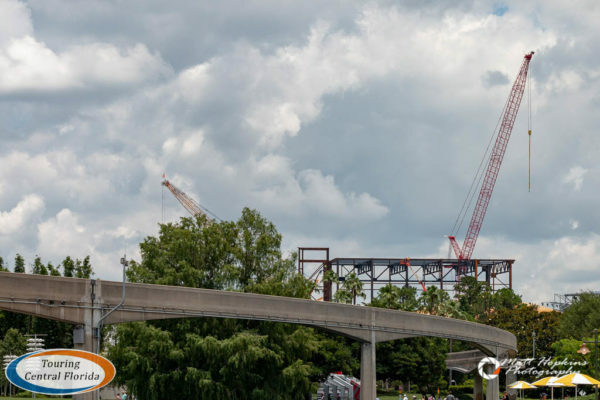 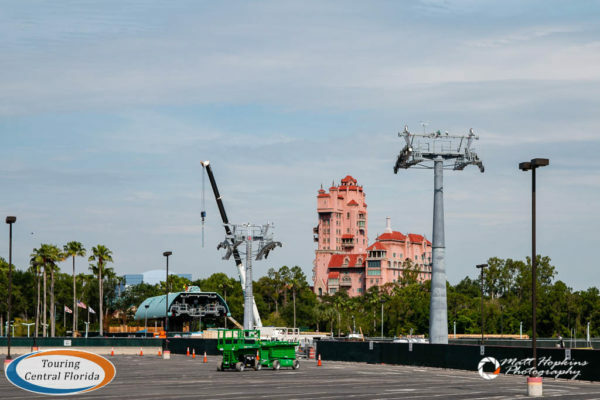 New flyovers to carry traffic to and from the resorts are coming together quickly, and should help alleviate congestion coming into the Magic Kingdom area once completed. 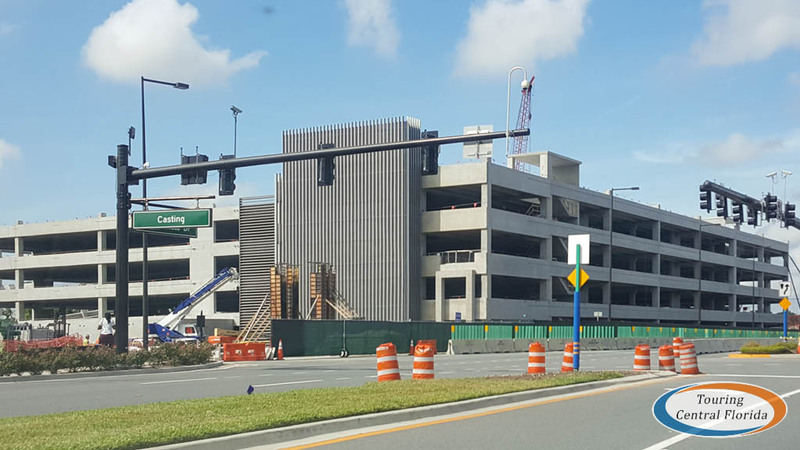 The third parking garage at Disney Springs is taking shape, located just across Buena Vista Drive from the Lime Garage. 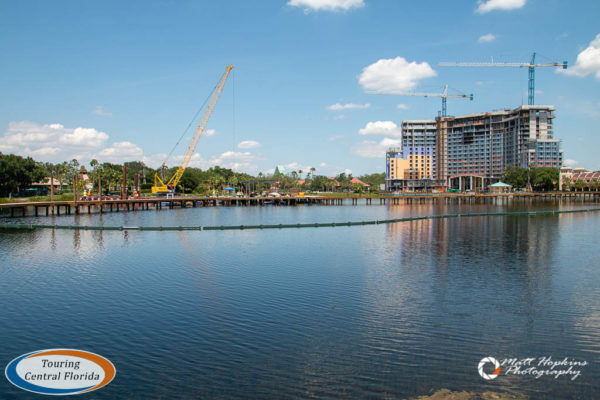 Down at the Coronado Springs, work continues on the massive tower currently under construction. 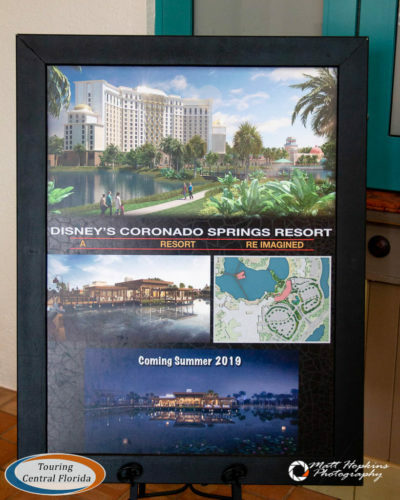 The project at the resort will also see a new restaurant opening over the lake, which is just beginning to take shape. 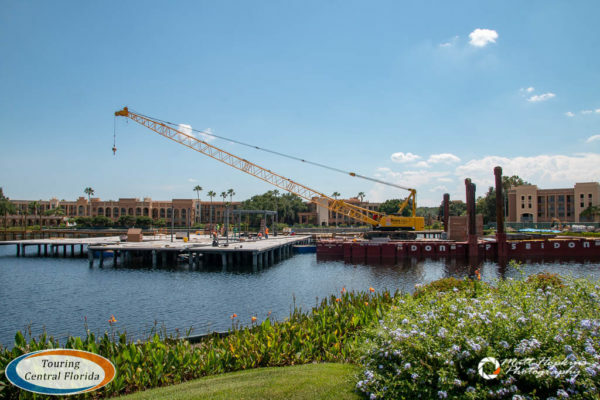 Thanks to photographer Matt Hopkins for many of the photos used in this article. 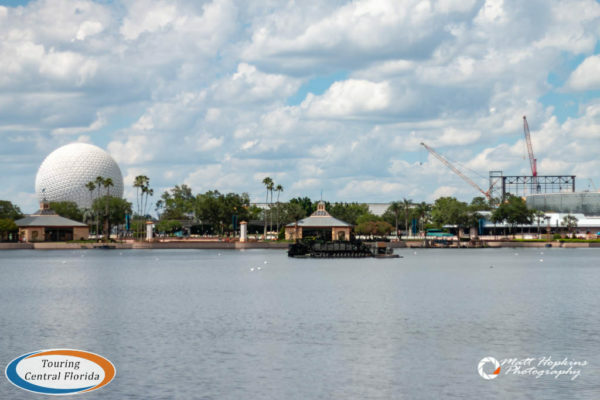 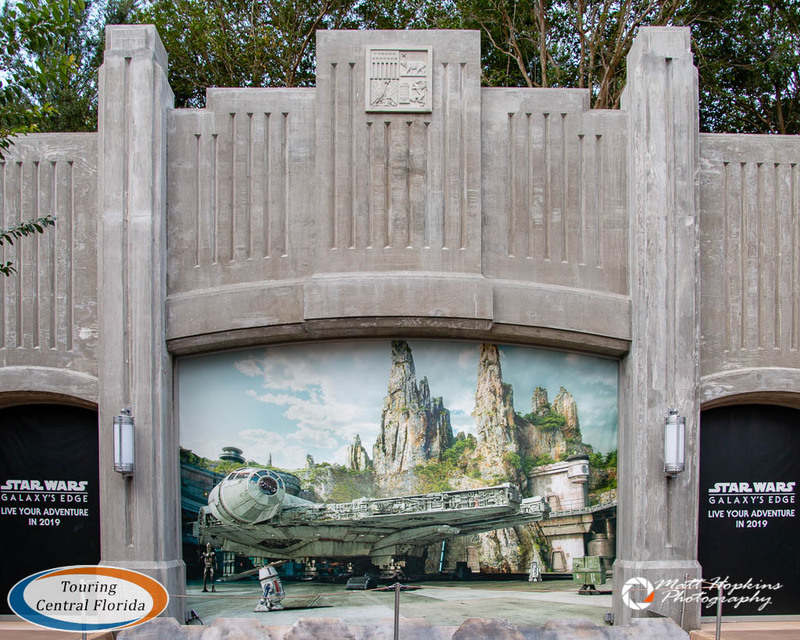 For the latest on Walt Disney World and other theme parks, attractions and more across the region, be sure to follow Touring Central Florida on twitter @TourCentralFL, @androckb, @Emmet_TCF, @JacobTouringCe1, and give our facebook page a like.